A little under 200km from the Italian mainland, slightly more than that from the North African coast at Tunisia, Sardinia is way off most tourist itineraries of Italy: D.H. Lawrence found it exotically different when he passed through here in 1921 – “lost”, as he put it, “between Europe and Africa and belonging to nowhere.” Your reasons for coming will probably be a combination of plain curiosity and a yearning for clean beaches. The island is relatively free of large cities or heavy industry, and its beaches are indeed some of the cleanest in Italy and are on the whole uncrowded, except perhaps for peak season, when ferries bring in a steady stream of sun-worshippers from what the islanders call il continente, or mainland Italy. But Sardinia offers plenty besides sun and sea – the more so if you are prepared to penetrate into its lesser-known interior. Although not known for its cultural riches, the island does hold some surprises, not least the remains of the various civilizations that passed through here. Its central Mediterranean position ensured that it was never left alone for long, and from the Carthaginians onwards the island was ravaged by a succession of invaders, each of them leaving some imprint behind: Roman and Carthaginian ruins, Genoan fortresses, a string of elegant Pisan churches, not to mention some impressive Gothic and Spanish Baroque architecture. Perhaps most striking of all, however, are the remnants of Sardinia’s only significant native culture, known as the nuraghic civilization after the 7000-odd nuraghi that litter the landscape. These mysterious, stone-built constructions, unique to Sardinia, are often in splendid isolation, which means they’re fairly difficult to get to without your own transport, but make the effort to see at least one during your stay – or failing that, drop in on the museums of Cagliari or Sassari to view the lovely statuettes and domestic objects left by this culture. On the whole, Sardinia’s smaller centres are the most attractive, but the capital, Cagliari – for many the arrival point – shouldn’t be written off. With good accommodation and restaurants, it makes a useful base for exploring the southern third of the island. The other main ferry port is Olbia in the north, little more than a transit town but well geared for accommodation and conveniently close to the jagged northern coast. The Costa Smeralda, a few kilometres distant, is Sardinia’s best-known resort area and lives up to its reputation for opulence. The prices may preclude anything more than a brief visit, although there are campsites for those outside the ranks of the super-rich. Both Olbia and Cagliari have airports, as does Sardinia’s main package destination of Alghero – a fishing port in the northwest of the island that has been known to British holiday-makers for years, yet retains a friendly, unspoiled air. But Alghero’s main attraction is its Spanish ambience, a legacy of long years in which the town was a Catalan colony, giving it a wholly different feel from the rest of the island. Inland, Nuoro has impressive literary credentials and a good ethnographical museum. As the biggest town in Sardinia’s interior, it also makes a useful stopover for visiting some of the remoter mountain areas, in particular the Gennargentu range, covering the heart of the island. This is where you can find what remains of the island’s traditional culture, best embodied in the numerous village festivals. 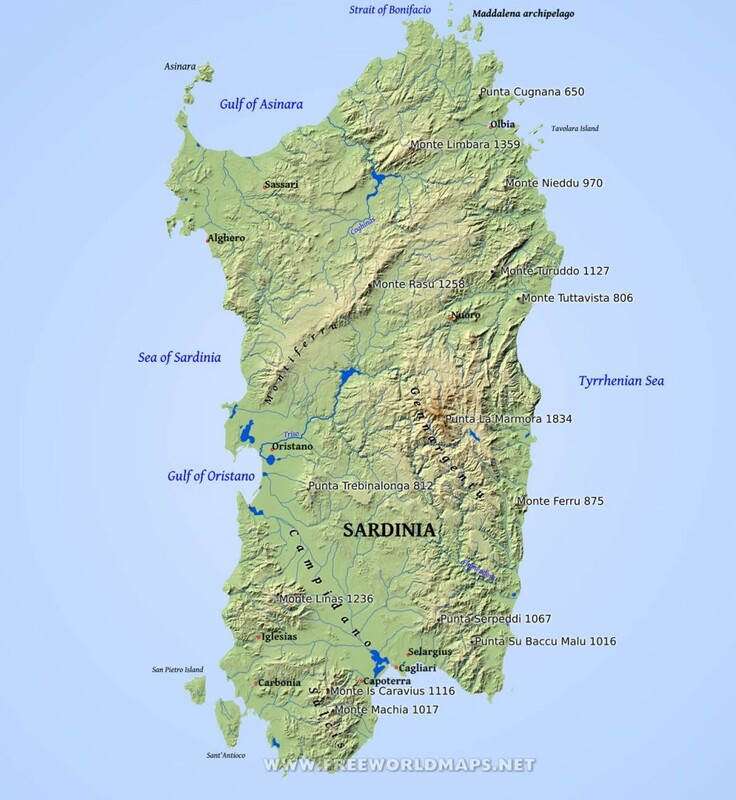 Sardinia, one of the great prizes of the Mediterranean, was fought over by the Phoenicians, Romans, Arabs, Spanish, and Austrians before ending up as part of unified Italy. It bears traces of all these cultures — plus thousands of prehistoric stone dwellings called nuraghi. These days Sardinia is equally popular with the jet set as with rock climbers, sailors, and wind-surfers. With so to see and do, rely on DK Eyewitness Travel Guide: Sardinia for in-depth information on everything, from hotel and restaurant recommendations to detailed maps, to tips on the best local cheeses. In this fully updated guide, you’ll find 3-D cutaway illustrations and floor plans of major sights, suggested walks, scenic routes, and thematic tours. With hundreds of photographs, illustrations, and maps, DK Eyewitness Travel Guide: Sardinia shows you what others only tell you.